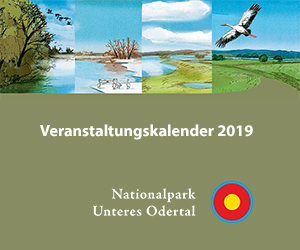 The Lower Oder Valley National Park is professionally supervised by two tourism associations – the Lower Oder Valley National Park Tourism Association as well as the Angermünde Tourism Association. They are your, and our, partners in matters of having a holiday in and around the National Park. The excellent tourist information offices of both associations provide you with comprehensive advice on excursions, hiking, cycling and canoeing as well as guided tours and will also gladly arrange accommodation for you.